Erin Lunsford is an award-winning singer and songwriter originally from Fincastle, Va and now living in Richmond, Va. Erin’s compositions, which include self-styled guitar, banjo, and keyboard melodies, are sure to please. She is the powerhouse front-woman of Charlottesville funk/soul band Erin & The Wildfire, who appeared on the main stage at LOCKN 2014 and LOCKNWOOD 2015 w/ the late Leon Russell. Charlottesville’s Paramount Idol voted Erin their top choice in 2013, winning the competition with comments from the panel like “perfect intonation.” She won 1st Prize at Rapunzel's 11th Annual Songwriting Contest and several other awards have followed. Erin's recording projects include a debut solo album "I Saw The Thread" in 2012, Erin & The Wildfire's Debut EP in 2013, and a new full length project from the band in 2017 called "Thirst." Erin has a solo project is in the works that is scheduled for release in Spring 2018. Mentioned by NPR Music All Songs Considered 2018 in "More Tiny Desk Contest Entries We Love"
In 2018, Erin opened for Darrell Scott and Love Canon and in 2017 Bruce Hornsby, Carbon Leaf, Love Canon, and performed with the Grammy-award winning newgrass band The Infamous Stringdusters. Erin has performed with Keller Williams, Leftover Salmon, Pimps of Joytime, and the T Sisters in FloydFest 2015 and 2018 Buffalo Mountain Jam. 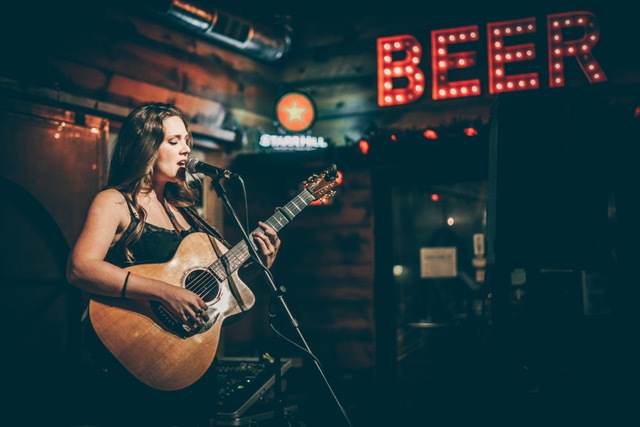 Erin has also opened for The Village People, Leon Russel, Mingo Fishtrap, and Jon Pardi in recent performances with Erin & The Wildfire. New Original Tunes in 2019! NPR's All Songs Considered Feature! Erin's Tiny Desk Contest entry was featured on NPR's All Songs Considered Blog for entries that they love. Read the blurb and watch the video HERE. Erin spoke w/ La Femme Collective about her journey with body positivity and performance. Inspired by The Women's March of 2017, Erin wrote "Neighbor's Eye" as a battle cry and a call for love and understanding.